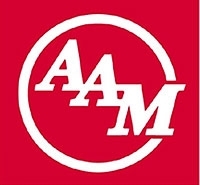 American Axle & Manufacturing Holdings Inc. says it could raise as much as $500 million through a new stock offering of at least 14 million new common shares and an upcoming private sale of new secured bonds due 2017. American Axle plans to raise between $98 million and $108 million in net proceeds through the new stock offering and about $388 million from the bond sale, according to a U.S. Securities and Exchange Commission document filed today. The Detroit-based axle and driveline component supplier plans to pay off a $250 million term loan with the bond proceeds and use stock proceeds for general corporate purposes, which could include paying off additional debt or funding acquisitions. Shares of American Axle closed today at $7.57, up 5.9 percent after opening at $6.81 per share this morning. The secondary IPO and new bond sale comes after American Axle posted four consecutive months of profitability, according to company regulatory documents. Christopher Son, American Axle director of investor relations and corporate communications, was unavailable for immediate comment. American Axle ranks No. 77 on the Automotive News list of the top 100 global suppliers with worldwide sales to automakers of $2.10 billion in 2008.